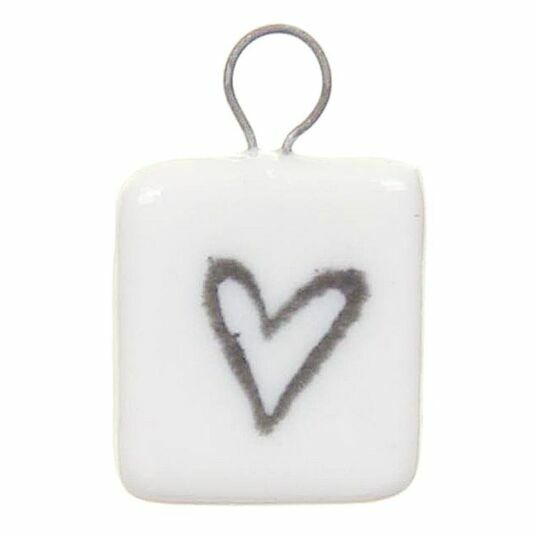 This tiny square of pale cream porcelain is coated in a translucent glaze and has a metal loop embedded into the top. Stamped into the surface in grey is a heart outline. 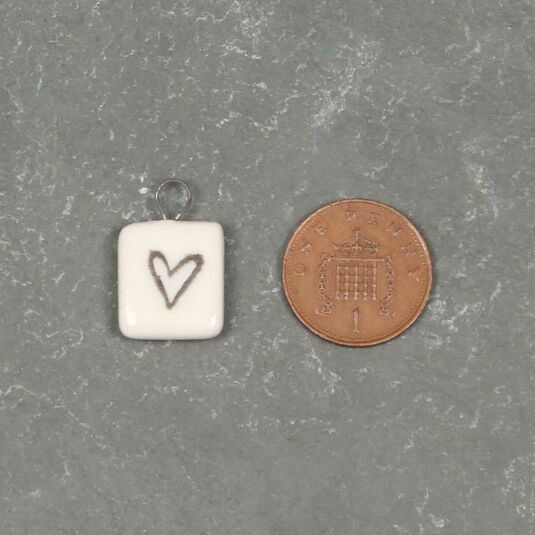 The heart tile could be hung as a charm or suspended on a necklace. It would make a special love token or friendship gift, for Valentine’s day, Mother’s Day or just because you feel like giving some love!